On Monday 13th November 2017, Woodies staff from all over Ireland came together at the Westbury Hotel on Grafton Street for a special awards ceremony. 176 staff members were awarded Level 5 certificates in Retail Ireland Skillnet Retail Customer Service, achieved through work-based-training in their own stores. Damien Richards, CEO of Woodies was in attendance to show his support for his employees. TD Mary Butler, Chair of the Oireachtas Committee on Jobs, gave the graduates a warm address and congratulated them on their achievements. She spoke of the competitiveness challenges in the modern retail environment, her own background in the sector and the role of training in helping to meet those challenges. 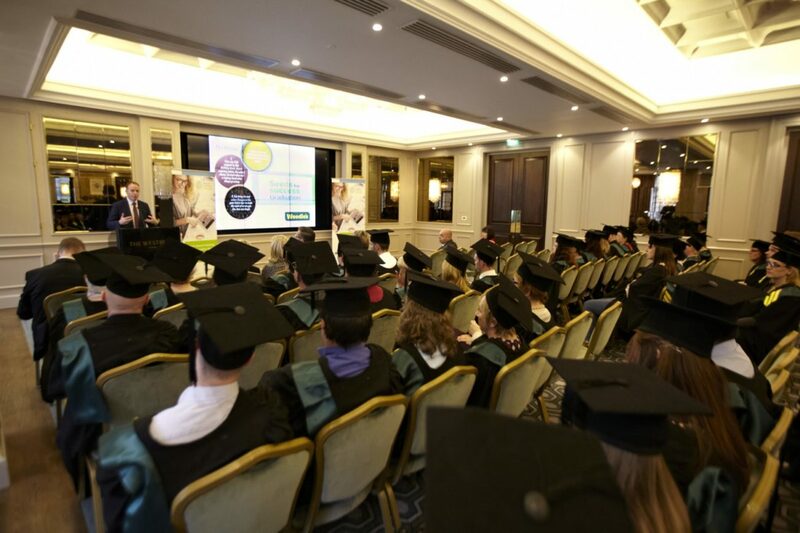 Paul Healy, CEO of Skillnets congratulated all the graduates on their achievements and went on to discuss the importance of upskilling staff in the modern world of work and its particular importance in the retail sector. He explained how Retail Ireland Skillnet offers this opportunity in a very practical way through work-based education.